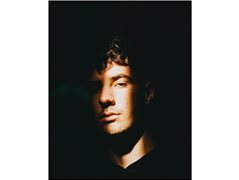 I am a Melbourne-based photographer. My friend and I will be travelling to Europe in the coming months, wanting to explore and capture the concept of youth in cities. I am interested in capturing the self-expression and individual opinions of young people and how it differs from place to place. - a short film shot on Kodak 16mm film. Feel free to bring someone else along for the shoot, i.e: friend, sibling, partner etc. This could make for some great images. - having a brief conversation exploring your views and ideas which would be used in the film and as inspiration for it. The shoot will be done to fill up my portfolio (TFP) and will be put towards university assignments back home. By collaborating you will receive all photos and film for your own use. This application is open to anyone, regardless of background, profession or age. Specifically, we are looking for authenticity.